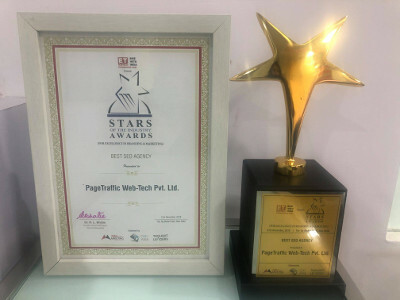 The Taj Mahal Hotel, New Delhi - December 21, 2018 - It was the moment of utmost joy and great pride for PageTraffic Web Tech as the leading SEO company received the prestigious ET Now Stars of the Industry Award (For Excellence in Branding and Marketing) in the category - Best SEO Agency. 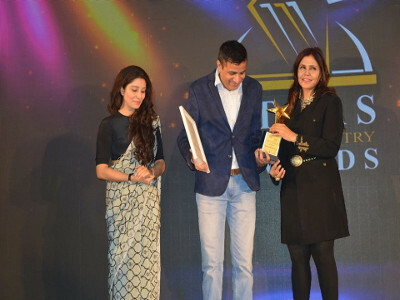 The award was presented to Navneet Kaushal, the founder and CEO of PageTraffic, the leading SEO company in India, on 21st December 2018 at The Taj Mahal Hotel, New Delhi. PageTraffic has been offering expert SEO services to their clients for more than a decade and a half now. Speaking on the occasion, the spokesperson of the company said, “It feels truly great and honored to receive this award. What makes this win even more special to us is the fact that an esteemed award event of the industry recognized our efforts. Our employees feel delighted and motivated to do even better in future. It indeed is a special feeling to leave your mark in such a wide industry that has cut-throat competition." Founded in 2002, PageTraffic offers the finest SEO and digital marketing solutions to empower e-businesses from varied industry types. Instead of specializing in a particular industry, the company assures comprehensive digital marketing and search engine optimization solutions for businesses of all sizes and genres, looking for a strong web presence with maximum ROI. With a team of 95 professionally trained SEO consultants, the company successfully manages and delivers results to around 400 campaigns on a monthly basis. Businesses looking for aggressive SEO solutions to transform their business operations, driving sales and increasing ROI must try PageTraffic for result-oriented SEO services. When asked about their future plans, the PageTraffic spokesperson said, “ Receiving ET Now Stars of the Industry Award is a testimony that we are doing great. And we would like to continue with that. We have recently introduced our revised SEO packages with a vision to serve businesses of all scales with a strong online presence for driving sales and profits. We feel even more responsible to stand up to the expectations of our clients and the industry. We hope to carry forward this great momentum in 2019 as well to stay the best SEO company." Other than professional SEO, PageTraffic offers their expertise in search engine optimization, web development, web designing, link building, pay per click marketing, online media buying, social media marketing and many more services to transform your overall look, functionality and performance on the internet. So get high ranks on the major search engines, build quality links, and spread your business to drive more sales and customer traffic that converts with PageTraffic Web Tech, the leading digital marketing agency and SEO company in India. PageTraffic is a leading and award-winning digital marketing and SEO company offering comprehensive search engine optimization and digital marketing solutions to clients across the world. It has offices situated in Delhi, Mumbai and Chicago. With a team 95 qualified and professionally trained SEO professionals, the company offers their expertise in organic search management, goal oriented & measurable campaigns, social media integrated solutions with safe and ethical SEO techniques to establish your brand name and keep you ahead of your competitors.